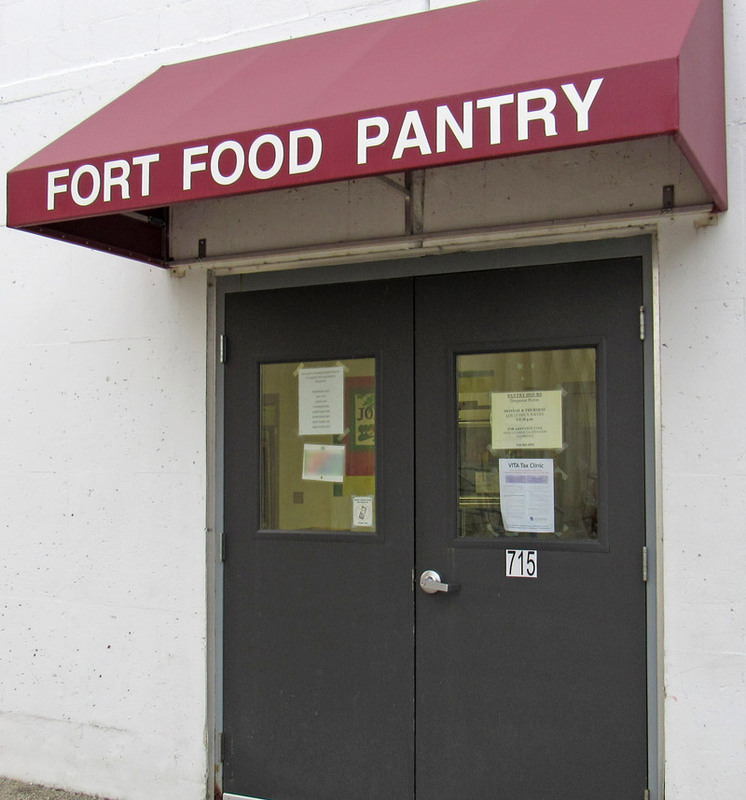 The Fort Atkinson Food Pantry is open every Monday and Thursday from 3:00 PM until 5:30 PM, except when Holidays occur on Mondays or Thursdays. Donations may also be dropped off at the Pantry between 9:00 and 11:00 on Mondays or Thursdays. This non-sectarian organization shall exist for the churches and organizations of the school district of the Fort Atkinson, Wisconsin area to coordinate their efforts to provide food on an emergency basis to persons determined in need. The Fort Atkinson Food Pantry is an equal opportunity provider. What does it profit, my brethren, if a man says he has faith but has not works? Can his faith save him? If a brother or sister is ill-clad and in lack of daily food, and one of you says to them, “Go in peace, be warmed and filled,” without giving them the things needed for the body, what does it profit? So faith by itself, if it has no works, is dead. The Food Pantry seeks to move beyond the immediate situation of need to enable the self-determination of patrons. Respect for denominational and personal integrity. The Food Pantry seeks neither to impose a theological nor a value system upon persons being served, respecting the validity of their humanity. The Food Pantry also recognizes the sincerity of its member congregations and their traditions regarding certain theological, social and ethical issues about which we may have honest differences. In the same attitude, although we strive for the highest standards of Christian social service, we recognize that there are many ways to express Christian concern. The Food Pantry seeks to be a vehicle for the organized, strategic, and helpful expression of Christian love, mission, and self-sacrifice. Although structural reforms are usually necessary if suffering is to be corrected, one-to-one relationships of friendship and bearing one another’s burdens are also necessary. The Food Pantry provides a tolerant cooperative enterprise through which its officers and volunteer workers can express many styles of Christian commitment. Working together in behalf of the need of others we will not transgress on the needs or preferences of our own congregations, fellow Christians disciplines, and those we seek to serve. please call (920) 563-6992 and we will provide you with prompt personalized assistance..